Disclosure: This is a sponsored post partnering with Whole Foods Market. I received compensation but all opinions expressed are solely my own. People always tell me that, "I don't have time for this." This lunch is proof that you can do this. In fact not only did I teach a number of moms and their kids how to make it, I also recently taught a TV host to make this lunch in about three minutes. Once you have the ingredients it shouldn't take longer than 10 minutes for people to make this. I figure if five year olds can make this lunch, any parent can! 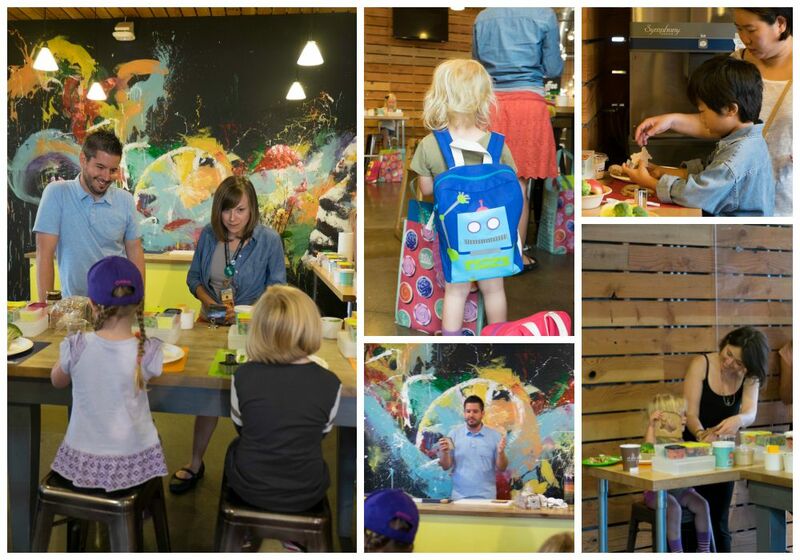 When I taught a local back to school workshop with moms and kids at Whole Foods Market in Oakland, CA it was inspiring to not only see parents realize that they can do this, but to experience the creativity of young children as well. We came together to talk about healthy eating and fun ways to start the school year right. Families left with new ideas for making healthy meals and also with a bundle of school supplies thanks to PBS Kids, Bentology, and Whole Foods Market. 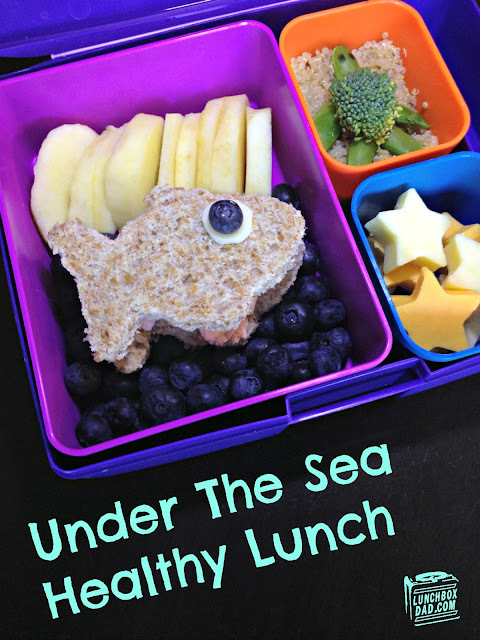 Below are some pictures from the workshop and the recipe so you can make your own Under the Sea Lunch with your kids! Remember to follow me and your local Whole Foods on social media so you don't miss the next class in your area. 1. Use fish shaped cookie cutter on two slices of bread. Place sandwich filling on top of one piece and place second piece of bread on top. Cut small circle from Mozzarella cheese. Put toothpick in blueberry, then through circle of cheese, and through the top of sandwich. This makes the fish's eye. 2. Drop blueberries in the bottom half of main dish and arrange apple slices in the top half as shown. Rub apple slices with lemon wedge to help prevent browning. Place fish sandwich on top of the blueberries. 3. Cut cheese into starfish shapes. Using a vegetable cutter makes this a snap! You can find these online or at a local Japanese store. Place in side dish. 4. Instead of trying to write how to make the easy turtle from snap peas and broccoli, watch my short video tutorial below. Place it in a bed of brown rice or quinoa and your kids' Under the Sea lunch is ready to go! Project Mc2 Lunch: The Smartest New Tween Series! School Bus Back to School Lunch Video Tutorial!